Based on the concept of Swarmscapes, which can be read here, we used this workshop to develop so far most challenging part of our modules - moving bridges. During the midterm these structures were designed to move only in 2D, but on the last week we have tried to explore the possibilities on movement in 3D, as well as how to implement this movement on scaled model. The result that we are aiming to is to design movable arms ("scape arms") that could react to different inputs: weather conditions, amount of people on the module and nearby modules. 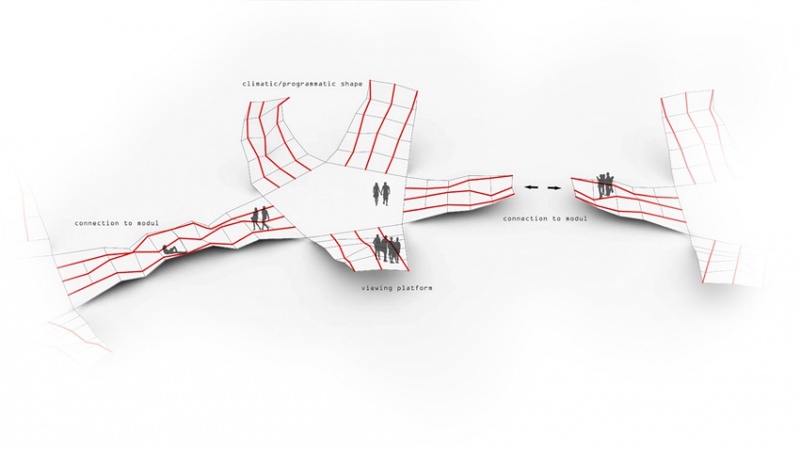 Therefore, the flexible and dynamic structure would transform and translate different scenarios by becoming a connecting bridge, landscape or a covered space. 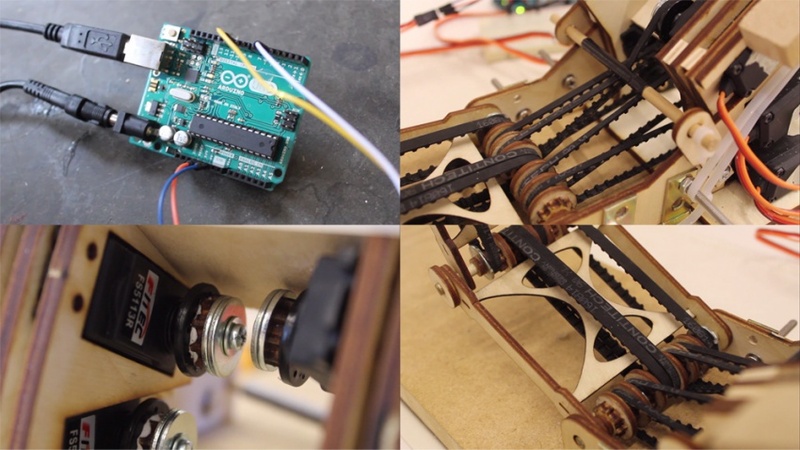 Used software: Arduino, Firefly, Grasshopper. This page was last modified on 17 November 2015, at 00:43.